Detectives today are warning residents about a home invasion suspect that you read about first in an October 19 report on CWBChicago. The suspect has been armed with a handgun as he entered occupied homes while residents slept. The first victim, a man who lives in the 2600 block of North Burling, was awakened early on October 16 by the intruder who proceeded to rob the victim at gunpoint in the bedroom. 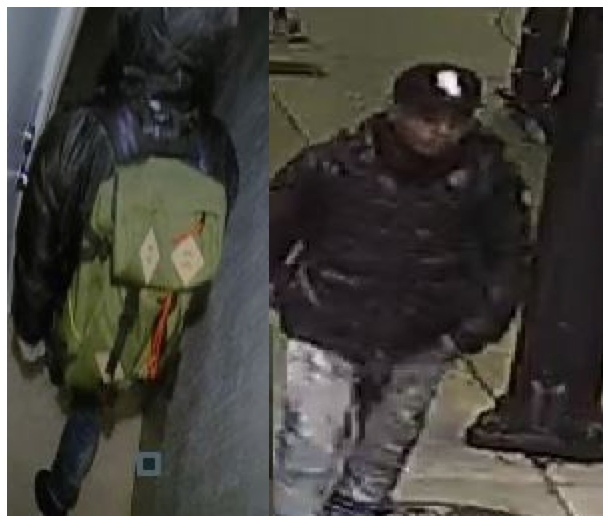 Days later, on October 19, the same man made entry to a home in the 3000 block of North Kenmore, stole car keys from a counter, and drove off with the family’s Jeep. The thief pointed a handgun at a security camera when the rear door alarm sounded and awakened his victims. A third incident was reported around 4:30 a.m. in the 2400 block of North Janssen around 4:30 a.m. on Wednesday, the police alert said. The suspect is described by police as a black man between 18- and 25-years-old; 5'04” to 5’10” tall, 150-180 pounds. He has been seen wearing a black baseball cap with white lettering; a white or gray hoodie; and a green or dark-colored puffy vest. Police are encouraging residents to ensure that all windows and doors are locked before going to bed. Anyone with information about the offender is asked to call Area North investigators at (312) 744-8263. You can support CWB's newsgathering efforts with a donation to our Tip Jar.